What will you think of when you feels like eating Indian Food? Probably nan bread / roti prata / some spicy curry? Now in Singapore, you can taste fusion Indian food, an encounter of the West & India: Cheese Prata & Ice-cream Prata! You can even find interesting mix of prata flavour here, such as garlic, banana, chocolate, durian, etc. Whatever you can think of. Mr. Prata started business since 2005. 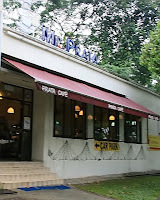 This 24-hour eatery located near to the Botanic Garden, not too convenient, but still have lots of customers, you can imagine. Many customers purposely drive here to eat. All pratas are freshly made upon order. 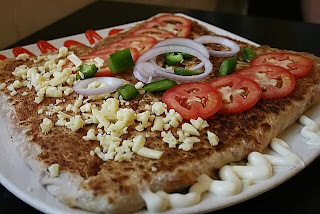 Roti Prata wrapped with mushroom, ketchup, minced lamp, mozzarella cheese. Taste like pizza. An interesting mix however prata was not crispy enough. 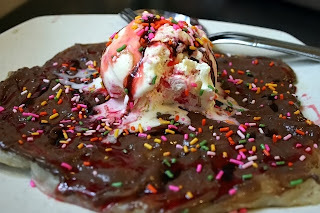 Roti Prata with thick Peanut Butter spread, top with ice-cream and sprinkled with chocolate. SGD3.50. An very interesting texture... warm prata vs. cold ice-cream; salty prata vs. sweet. Have to eat it fast, otherwise the prata became soft & it wasn't very nice by then. 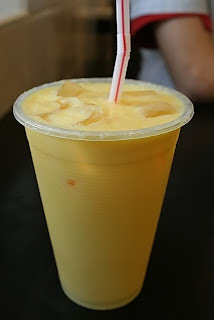 Mango Lassi (SGD3) was nice, wish they use a better looking glass for that instead of a plastic one. Address: No. 26 Evans Road, #01-02, Evan Lodge, Singapore 259367. How to get there: near Botanic Garden, 30 mins walk from Orchard MRT, or take a taxi from there. "HK CEO Donald Tsang was in Singapore for a 3-day state visit and thought it would be a good idea to wrap up his tour with supper at the famous Rangoon Road Ng Ah Sio Pork Ribs Soup Eating House. Unfortunately the lady owner had different idea… she refused to open beyond the operation hour (6 am to 2 pm) to cater to the V VIP and his entourage." This front page news made this already famous local eatery splashed all over the international medias. 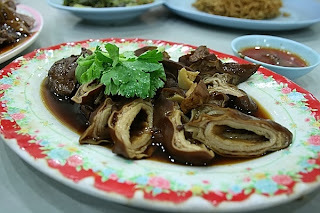 Personally, I don’t fancy the Singaporean styled Bak Kuet Teh too much. 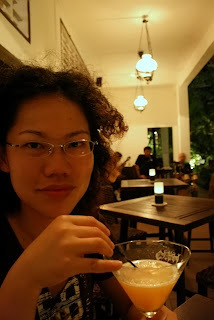 I love the Penang styled with strong herbs and dark coloured soup. 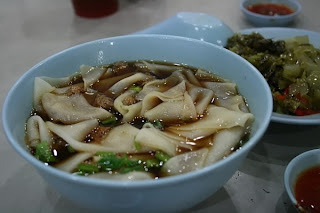 Bak Kuet Teh (SGD5) with free top up of soup. For the soup, I think pepper taste was too strong, while the soup base was too plain without much herbs. 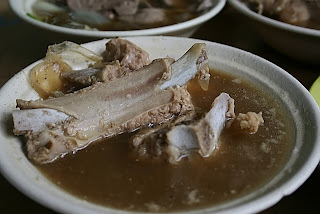 The prok ribs taste a bit little those soup leftovers from mother's soup... too soft & tasteless. 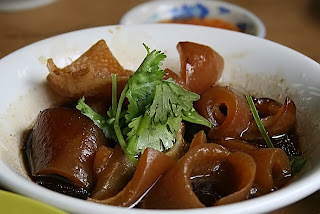 Pig's skin (SGD2) was nicely stewed though, tasty & soft while still keeping the richness in "plastic", rich in cologin. 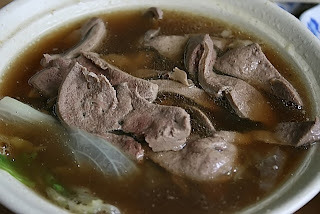 Pig's Liver Soup (SGD5) also very normal, same soup base as the Bak Kuet Teh, nothing amazed me. Address: No. 208 Rangoon Road, Singapore 218453. How to get there: 10m mins walk from Little India MRT. Rock Melon Martini. SGD14. I simply LOVE it. I never thought of having Chinese Roasted Pork to go with my Martini cocktail, but it was a greta match. 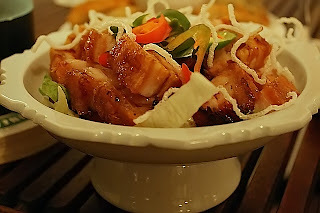 The pork's skin was roasted until crispy, meat not too dry but fatty-feeling oil were roasted awat. Love it! SGD15. 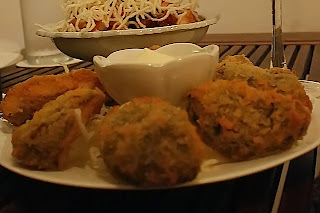 Deep Fried Mushroom. SGD10. It was good too, fresh & crispy. 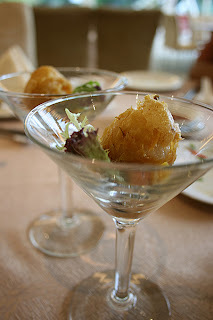 Another fusion, Fried Fish Skin (Chinese Style) and suprisingly it goes with my Melon Martini too :) SGD10. Address: No 1 Rochester Park, Singapore 139212. How to get there: take a taxi from Buona Vista MRT. From farm to army camp, today Tanglin Village is converted as an area for classy dinning & drinking. 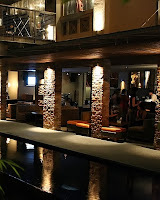 There are more than 30 bars & restaurants in Tanglin Village. Among them, Oosh is one of the biggest outdoor restaurant in Singapore. It is converted from an old black & white coloured British building. Entrance is decorated with fish pool, small waterfall, green trees, and bamboo huts. You won't feel like in Singapore when dinning here, it was like in a resort in Bali. It is not difficult to spot a few Ferrari or Porsche car parked outside this restaurants, as well as local celebrities & models walking around. 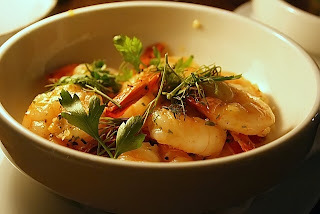 Spanish Tapas: Garlic Shrimp. SGD13. This dish was completely disappointed as the shrimp was frozen & treated very crunchy, but completely lost its original taste. French styled Duck Confit with Green Salad. SGD26. 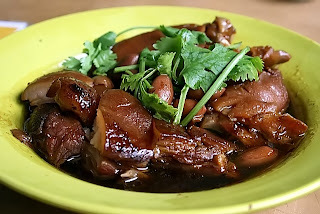 Duck meat was medium cooked, OK tender & juicy, however, the gravy wasn't nicely made. Salad was fresh though. 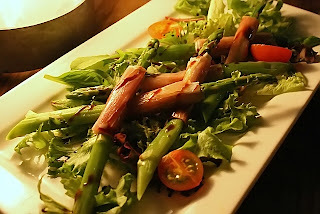 Parma Ham & Asparagus Roll. SGD10. Well, this dish is not difficult to made at all. Must be good as long as they use fresh & quality ingredient. No complaint. Address: No. 22 Dempsey Road, Tanglin Village, Singapore 249679. How to get there: take a taxi from Orchid MRT. Singaporean crazy for Chicken Rice. 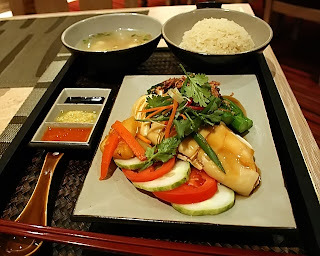 In fact, the Hainanese Chicken Rice is invented in Singapore instead of from Hainan. You can get chicken rice at SGD3-5 or spend some money for an expensive one in a 5-star hotel. Wondering where to get authentic and delicious hainanese chicken rice in a comfortable & chilling environment? You can try out MELT in the Oriental Mandarin Hotel. 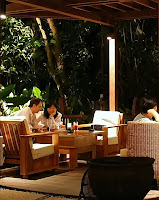 With 5-star service, the ambience, food presentation, as well as some confortable air-conditioned & chill out music. Along the the classic image of the Oriental Mandarin Hotel, the chicken rice here taste classic & authentic & good. Hainanese Chicken Rice, your choice of chicken breat or thigh. SGD17 per set. 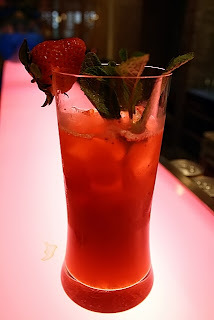 Strawberry Iced Tea from the Red Bar, I LOVE it! SGD8.00 per glass. Address: No. 5 Raffles Avenue, Marina Square, Singapore 039797. How to get there: 5-10 mins walk from City Hall MRT. 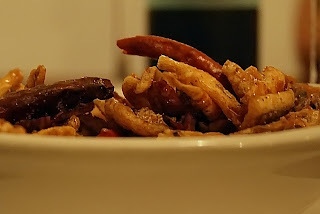 Located on top of a hill in Labrador Park, hidden inside millions years of tropical rain forest, this restaurant is probably the most quiet & comfortable place for Chili Crab in Singapore. 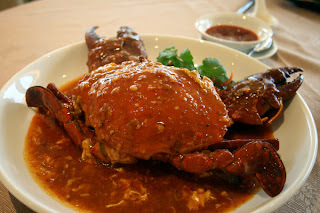 Chinese restaurants normally don't serve delicious crabs, most of the time are over cooked. Here, they make the crabs texture like the French style, just nicely cooked, smooth & tender & super juicy. Chili taste not too strong, so that it didn't cover the natural fresh taste of crabs. Chef came from Fu-jian region of China, has been working in Singapore for over 10 years, and loves to create fusion dishes. Stuffed lychee with crab meat, then deep fried until crispy. 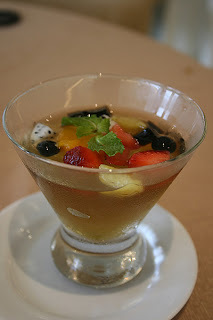 A very delicious & refreshing fusion dish. SGD8.00 each. 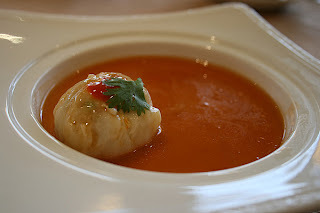 Scallop Siu-Mai with crab eggs soup, beneath the soup is a layer of steamed egg. Super Yummy! SGD12.00 each. 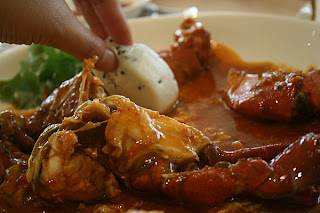 Famous Singapore chili crab. SGD32. Best to order some buns, and dip it with the chili sauce! Champagne Pork Rib. It was a bit disappointed though, rib was over cooked, very dry & chewy, gravy was a little too salty. SGD11. Fried Noodles with shrimp, fish & scallops. 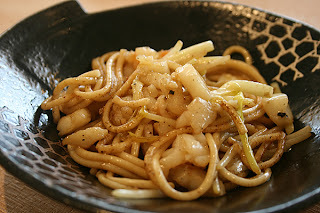 The noddles were super crunchy, with fresh & sweet seafood, it was a very good combination. Couldn't help to finish the plate even I was already full. Address: No. 30 Labrador Villa Road, Labrador Nature Reserve, Singapore 119189. How to get there: take a free shuttle bus from Harbour Front MRT. 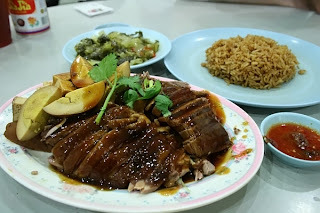 Singapore not only famous for its Hainanese Chicken Rice, Duck Rice also a must try specialty. 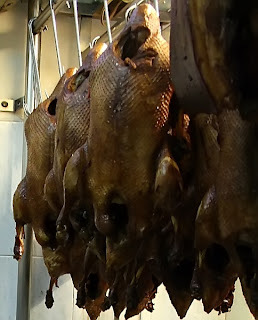 You cannot find the same type of duck rice in other Chinese cities. Rochor is one of the old duck rice shop, with over 30 years of business. 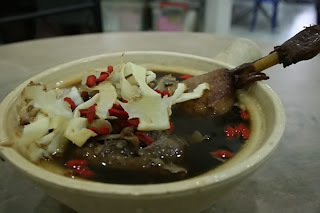 The signature dish of shop is the "Chinese Herbal Duck Soup" (十全大補鴨湯), which was featured in local newspapers. Duck meat was tender. Rice was cooked with cabbages & soya sauce, quite special, but texture was a little too dry for my taste. Smooth rice noddles served with duck stocks. SGD0.80 each. Chinese Herbal Duck Soup, supposed to be very good for the body. SGD4-12 each. Pig's intestine. It was clean and well prepared, you can't taste the fatty feeling. SGD2.00. Ducks were hang at the door, attracting customers. Address: No. 327 Beach Road, Singapore 199560. How to get there: 5 mins walk from Bugis MRT. Located opposite to the Concourse. Hiden inside a small 3-storey white colonial house, this French restaurant is one of the best in Singapore. The "white house" was built in 1920, used to be home of Mr. Corner. Most furniture & decorations still restored until now. Ground floor is wine cellar and sitting room for pre & post dinner drinks. Upstairs dinning area. Eating in this restaurant was like dinning in a cottage house in my friend's grandma home in Europe, a very warm feeling. The restaurant only has 13 tables, maximum can accommodate 50 guest. 3 days prior booking is recommended. Au Jardin is French words, meaning "in the garden". 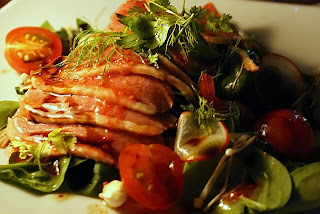 Chef flexibly creates dishes using fresh & season ingredients. Menu changed every 3 months. 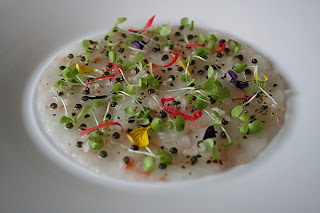 First course Marinated Longoustines with Oscietre Caviar & Baby Mache Cray Fish. It's simply refreshing, sweet, and fragrant! Awesome! Bigorre pork (a special French pig with controlled export) cooked in 4 different ways: 1. 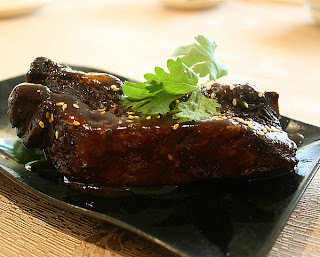 Confit-grilled (slow cooked) pig's belly, very tender & juicy, my favourite among the four; 2. Pork cheek cooked stewed with red wine, a little sweet; 3. Roasted Pork Loin (lower back part); 4. Spanish lomo ham. Prunes with vanilla cream & tapioka ice-cream. Prunes were imported, not too sweet, just nice to taste, while waffle was very crispy. Awesome! Lots of wine selection in their cellar, the oldest one is 1945, cost SGD8,000. Address: EJH Corner House, Singapore Botanic Garden Visitor Centre, Cluny Road, Singapore 259569. How to get there: take a taxi or shuttle bus from Orchid MRT, it's located inside the Botanical Garden. Almost every travel guide book recommend to go to Ya-Kun for a traditional old time Singaporean breakfast. This shop started in 1944, have been accompanied Singaporean for over 60 years. Now already have several branches in Singapore, Taiwan & Korea. However, they insist of making every toast & coffee in traditional style as 60 years ago. eg. use hand to toast every bread on top of charcoal. What is Kaya? 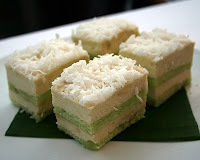 Kaya is a sweet bread spread made with coconut milk, sugar, egg york, and pandan leaves. It's a little bit like jam, but a South East Asian style with a very special & unforgettable aroma. Among all branches in Singapore, I especially like the one in Far East Square. The spaces & quiet, feels like in a Paris's cafe. Crunchy Kaya Toast, I just couldn't help ordering a few more after the first bite. SGD0.85 each. Half boiled egg. Locals love to eat it with peppers & soya sauce, dip it with kaya-toast. Sounds wired but indeed pretty yummy! The coffee here is strong while smooth, mix with condensed sweet milk instead of sugar. SGD1.oo each. Coffee are filtered in traditional cotton cloth bags to enrich the smoothness. Every bread is toasted by hand over charcoal fire. Packacged kaya jam can be bought home, but I think can only stroed for 1-2 weeks in fridge, not too long. SGD4.00 each. Address: 18 China Street, #01-01 Far East Square, Singapore 049560. Located in Orchird Road, the heart of Singapore's shopping district, this colonial Germany styled hotel offer the best Durian Cake in town. For many years, this is a popular place for locals for a stylish & hearty afternoon high-tea. Durian Puff & Durian Mousse are the signature dessert. It recorded highest sales of 8,000 pieces of Durian Puff in one day. Now you can find more than 10 different flavour of durian dessert in the menu, such as Durian Waffe, Durian & Nuts Tart, Durian Sticky Rice Balls, etc. Fulfill both your creativity and tastebud. To ensure the quality, chef only choose the best D24 durian from among their 7 suppliers. I brought my German friend there, and he love the desserts even though he didn't like durian before in other places. 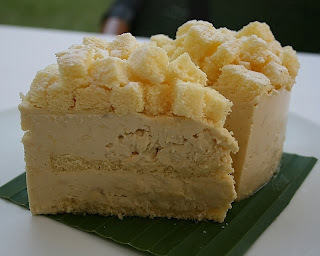 Durian Mousse Cake, the most original & signature dessert. SGD6.90 each. Durian Roll, made by traditional pandan leaves, SGD6.00 each. Durian Crepe, have to eat it fresh. SGD4.80 each. 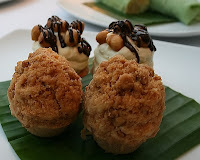 Durian Crumble, a very nice mix of texture of smooth & crunchy. SGD4.50 each. Durian Puff (left), melt in your mouth texture. SGD1.80 each. 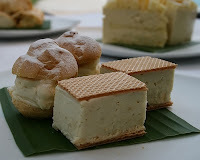 Smooth Durian Mousse sandwich with crispy waffe (right). SGD6.50 each. Address: 22 Scotts Road, Singapore 228221.